Living in Sunnyvale for a year and Monterey for two gave us plenty of opportunities to visit San Francisco. We enjoyed the sights, sounds, and great food of the city. July 4th 1976 was spent enjoying the festivities including a boat ride to Alcatraz and tours of several US Navy ships in port for the celebration. Christmas week 1980 found us in the city for the ballet performance of the Nutcracker. And of course Rosalie enjoyed the many trips to the city just to shop and experience the tempo of city life. 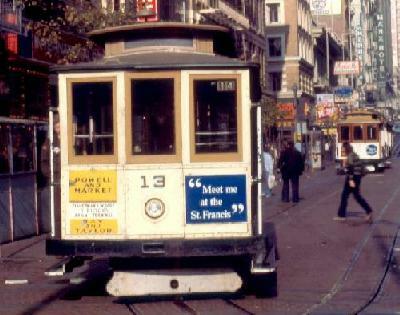 No trip to San Francisco would be complete without a trolley ride. 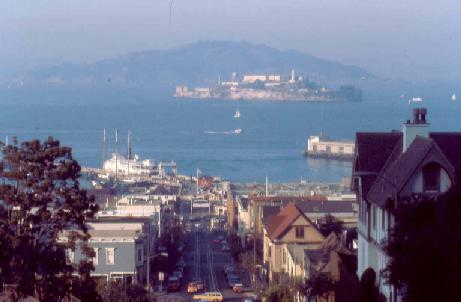 A great shot of the bay with Alcatraz in the background. A close up of Alcatraz from the bay. The Golden Gate bridge from the Pacific side. 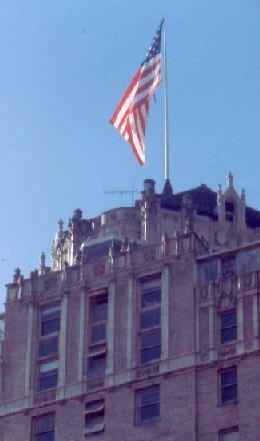 One of the old buildings proudly flying Old Glory. 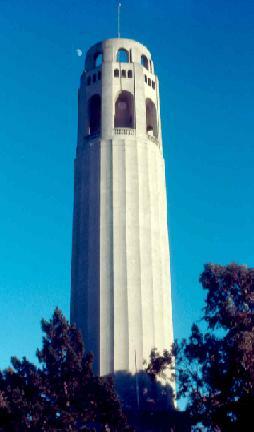 Coit Tower located on Telegraph Hill.